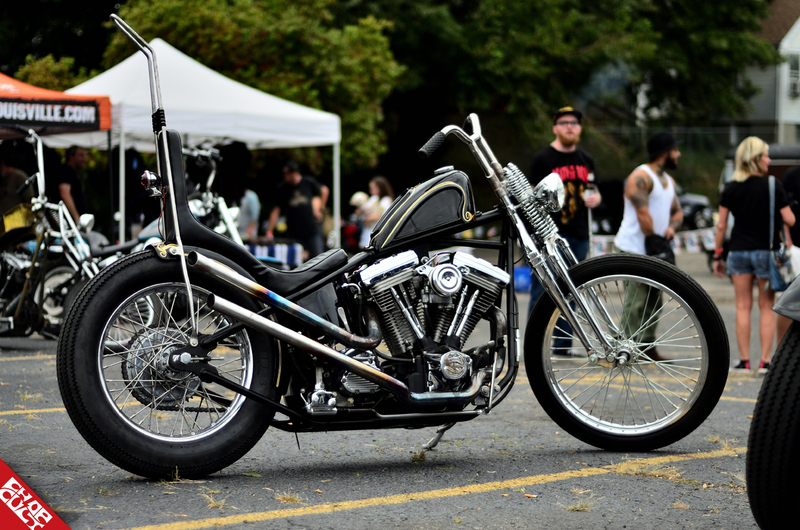 ChopCult has sponsored hundreds of events over the past years. It's been a dream of mine to be able to attend every event (like most publications), but tight budgets don’t allow for much travel. So my more practical approach has been to support each event by building a unique following through ads on the website and cross-promotion through CC’s social media outlets. Post coverage is normally attained by one of the awesome contributors or someone who was in attendance. Thankfully Benny Stucker stepped up to cover the Kentucky Kick Down and event coordinator Scott Halbleib delivered his take on the day. Enjoy! "The forecast had been questionable weeks leading up to the show, and there would be showers during setup. Unfortunately, this seemed to deter some attendees and bike show entrants, however the true riders showed up for the pre-party and a full day’s worth of motorcycle related festivities on Saturday. While the number of show bikes were down from last year, the entries, as always, were spectacular, and the variety of motorcycles on-hand was impressive. There were over 20 vendors set up, 6 bands played throughout the day, pit bike stunt riding, Miss KKD, pool tourney, and plenty of drinks and conversation to be had. There was still a good collection of regional riders that made their way to town for the weekend, and the follow-up gathering at Retrowrench was packed all morning. We were disappointed so many people chickened out because of a “chance of rain" on what turned out to be a beautiful weekend all around, but our months worth of work wasn't wasted - everyone that came said they had a great time. In order for the show to continue however, we're going to need to find more of these folks that aren't sitting in their garage polishing chrome when the clouds come out. You all missed another great weekend at the Kentucky Kick Down." -Scott. Keep an eye on their website for details on next year's event and follow them on Facebook and Instagram. Kentucky KickDown 2015 from Scott Halbleib on Vimeo.